Anyone shopping for a new three-row SUV will be hard pressed to find a better option out there than the 2018 Honda Pilot – which we have right here at Pohanka Honda of Salisbury on the Delmarva Peninsula. That’s because the 2018 Honda Pilot lineup offers a wide array of powerful, efficient, spacious and feature-filled trim levels to meet the needs of anyone in the market for a new three-row SUV – including daily commuters, family errand runners and weekend adventurers alike. And we can’t talk about the new 2018 Honda Pilot lineup without first talking about its Honda Sensing® suite of safety and driver assistance features. 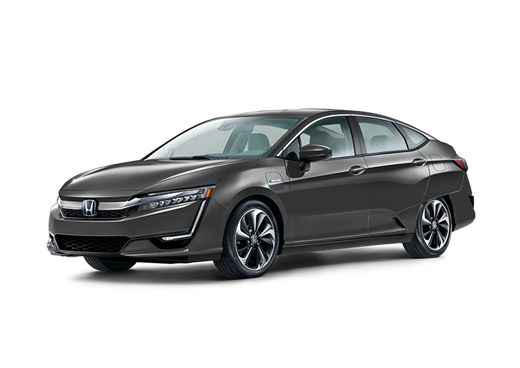 Available for the 2018 Pilot EX and EX-L trim levels and standard on 2018 Pilot Touring and Elite trim levels, the Honda Sensing® suite includes a Collision Mitigation Braking System™ with Forward Collision Warning capabilities, a Lane Keeping Assist System, Adaptive Cruise Control capabilities, and Road Departure Mitigation technology complete with Lane Departure Warning alerts. The 2018 Pilot lineup also features a standard multi-angle rearview camera and an available blind spot information system complete with a Rear Cross Traffic Monitor. The 2018 Honda Pilot lineup consists of five trim levels – the 2018 Pilot LX, EX, EX-L, Touring, and Elite. All 2018 Honda Pilot trim levels feature a 3.5-liter V6 engine that offers 280 horsepower and 262 pound-feet of torque. Your gas mileage ratings and interior space measurements depend on which trim level you choose, however. The 2018 Honda Pilot LX gets up to 22 combined MPG (19 city/27 highway)* when equipped with front-wheel drive and up to 21 combined MPG (18 city/26 highway)* when equipped with all-wheel drive. It features up to 152.9 cubic-feet of total passenger room, 18.5 cubic-feet of cargo capacity behind its 3rd row, 55.9 cubic-feet of cargo capacity behind its 2nd row, and 109 cubic-feet of cargo capacity behind its 1st row. The 2018 Honda Pilot EX gets up to 22 combined MPG (19 city/27 highway)* when equipped with front-wheel drive and up to 21 combined MPG (18 city/26 highway)* when equipped with all-wheel drive. It features up to 152.9 cubic-feet of total passenger room, 18.5 cubic-feet of cargo capacity behind its 3rd row, 55.9 cubic-feet of cargo capacity behind its 2nd row, and 109 cubic-feet of cargo capacity behind its 1st row. The 2018 Honda Pilot EX-L gets up to 22 combined MPG (19 city/27 highway)* when equipped with front-wheel drive and up to 21 combined MPG (18 city/26 highway)* when equipped with all-wheel drive. It features up to 151.7 cubic-feet of total passenger room, 18.5 cubic-feet of cargo capacity behind its 3rd row, 55.9 cubic-feet of cargo capacity behind its 2nd row, and 109 cubic-feet of cargo capacity behind its 1st row. The 2018 Honda Pilot Touring gets up to 23 combined MPG (20 city/27 highway)* when equipped with front-wheel drive and up to 22 combined MPG (19 city/26 highway)* when equipped with all-wheel drive. It features up to 151.7 cubic-feet of total passenger room, 18.5 cubic-feet of cargo capacity behind its 3rd row, 55.9 cubic-feet of cargo capacity behind its 2nd row, and 109 cubic-feet of cargo capacity behind its 1st row. The 2018 Honda Pilot Elite is only available with all-wheel drive, and it gets up to 22 combined MPG (19 city/26 highway). * It features up to 153.1 cubic-feet of total passenger room, 18 cubic-feet of cargo capacity behind its 3rd row, 55 cubic-feet of cargo capacity behind its 2nd row, and 108.5 cubic-feet of cargo capacity behind its 1st row. To learn more about everything offered by the 2018 Honda Pilot lineup, please contact our staff at Pohanka Honda of Salisbury on the eastern shore of Maryland.